This won’t be a surprising statement, but I must say that, regardless of the length of the serial or whatever flaws it might have, The Dalek Invasion of Earth is worth it for two simple reasons: the scene in which the Doctor bids farewell to Susan and well, the Daleks crossing Westminster Bridge! Being as it is the second story ever featuring the Daleks (and the popularity that came with them), clearly the producers wanted to outdo themselves, and they succeeded: it looks modern, and the innovation of filming outdoors is a breath fresh air. Seeing London, its streets, Trafalgar Square, Westminster, the Albert Memorial…I loved it. The chase scene when Barbara runs away with two of the refugees was particularly thrilling. With the Doctor and his companions (hi, Ian!) landing on an apocalyptic 22nd century London, it is of course up to them to save the day and kick the Daleks out of our planet (which they want to use as some sort of giant spaceship to travel around). Long story short, they DO kick the Daleks out (mostly by killing them) and Susan “falls in love with a not-that-fascinating guy (more on that later). I must admit I didn’t like this specific Dalek design. I’m not sure, because it’s black and white, but are they multi-coloured? (not as in each one of a different colour, but as in each one of them has many colours in their “bodies”). I can already see that by the time the second season began, producers, writers and directors knew that they could make things better, and it shows (it already did in Planet of Giants). Even if it’s still a bit too much to drag a storyline for six episodes, the distribution of the plot makes it swifter, I believe. Although I’m not sure if I liked the fact that all the main characters are split into different storylines (especially because Ian’s was the most boring) and they don’t come together until the final episode. But I did love the story’s resolution, with all the refugees tossing the Daleks around. Hell, I couldn’t stop laughing at that. Hartnell, in case you didn’t know (but I’m sure you do), was absent from the fourth because he hit his head, so most of his lines went to David. Which I think it’s a good thing, because I already find it hard to believe that Susan stays with him after, what, two days of knowing him and slapping a fish in her face? Imagine how far less invested in that relationship I’d be if he’d had even fewer lines of dialogue… Yes, sure, you’ve spent hundreds of years travelling with your grandfather and whatnot, but a quick rush of adrenaline provoked by limping away from some Daleks makes you want to stay in the deserted, war-torn, apocalyptic remains of a once-great city. And with only one shoe. Like Brian Cohen. Rants aside, this serial could have easily been shorter, though. 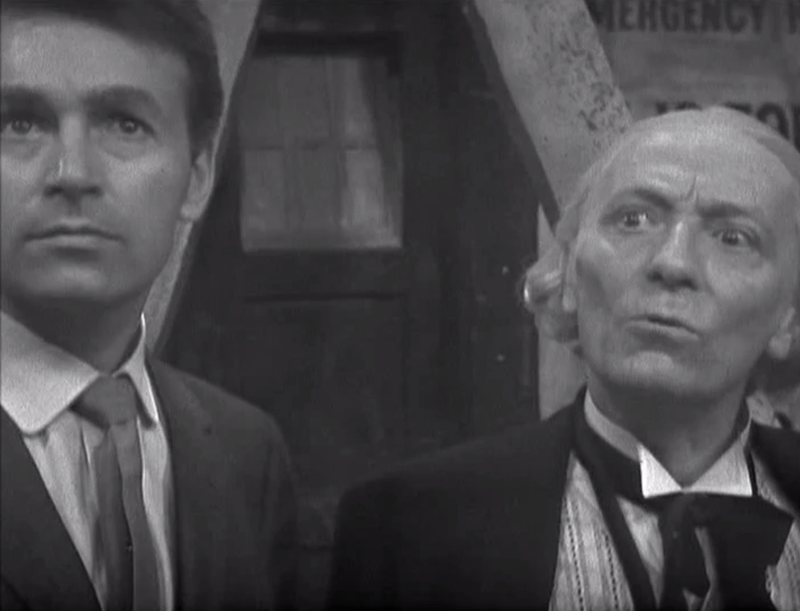 The fourth episode in particular was a bit slow (maybe because of the last minute changes due to Hartnell’s accident?) and I believe the third episode was the best one. There is something that always bugs me a little bit in these early episodes, and that is the music: what the hell is wrong with it? But please, forgive me, for I will blame it on scarce resources in the 1960s, but at some points I struggled because I couldn’t hear a single line of dialogue. Too much organ, if you ask me. And of course, I have to go back to that final scene I mentioned at the beginning of this post. You could say that one thing that made it very powerful was the fact that Susan, for once in her life, didn’t make a sound and resisted her innate urge to scream her hear out. But that would be taking the credit away from Hartnell, and I don’t want to do that. The way he delivers his speech, restrained but clearly hurt at the same time, makes you glimpse the tenderness that lies within him, as opposed to oh so many times that he has been grumpy or strict. It really paid off and it leaves viewers staring into the screen with a little hole in their hearts. Although the five minutes of Susan being in a stupor that came right afterwards almost ruined it. Damn it. 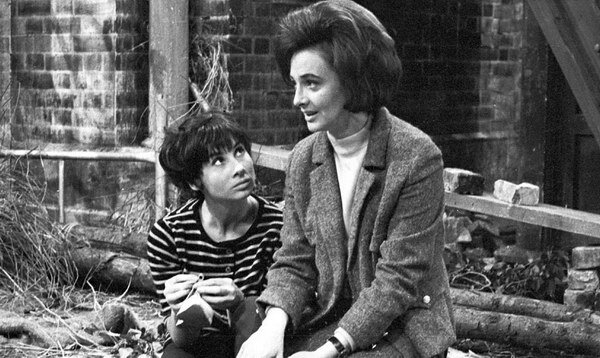 (But kudos to Carole Ann Ford, her acting was very good and she was given the chance to shine). Next stop, The Romans! Looking forward to it. -The Robomen are a bunch of useless, stupid bores. I wanted to slap all of them in the face, at the same time, with a giant hand. -I’ve never sprained my ankle, so correct me if I’m wrong, but it doesn’t make sense that Susan is screaming in pain during the entire first episode (and making a plot point out of it) and after that it’s like nothing happened. -I find the classic Dalek voices quite funny. Just slipping that in. -The resistance members are all oddly mean. What’s with all the rudeness? Is that why Susan is attracted to David, because he is the only nice one (and she has a fetish for people putting dead fish on her face)? -One of my favourite lines of dialogue was when, after Barbara confirms she can cook, Susan is asked what she can do and she replies “I eat.” That’s my reply for everything from now on.